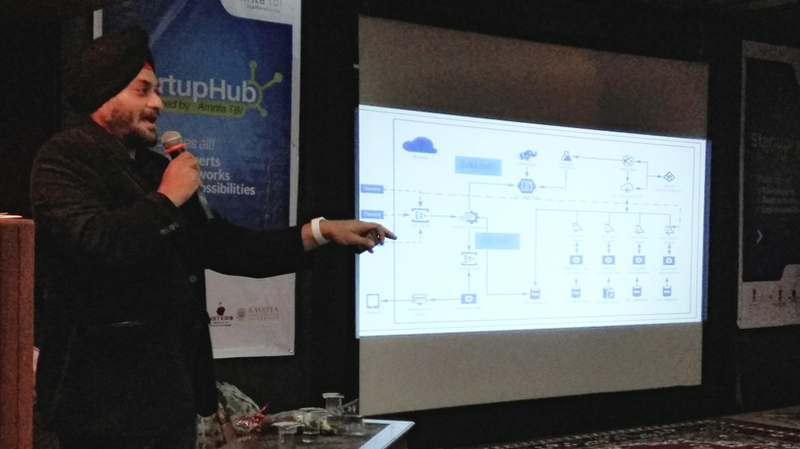 The first edition of startup hub brought together startup enthusiasts, entrepreneurs, idea seekers, venture capitalists and angel investors on a common platform. Shri Prabhjot Bakshi – Director of Get wings and Microsoft Regional Director in Ahmedabad, India was the technical speaker of the day. Here are the excerpts from his talk on IoT & cognitive Services. He mentioned that the benefits stand out only when IOT and cloud combine together. Hadoop and big data are getting a lot of attention. Mobile and wifi offer a lot of data and they are the ways to sell these data. Collection of these data will help in doing predictive analytics.